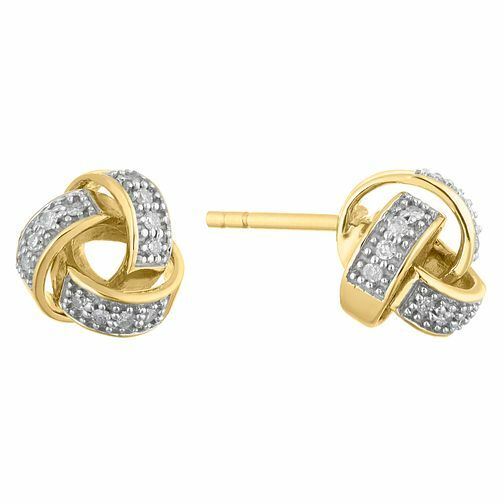 Showcasing a stylish knot design, these earrings are made with 9ct yellow gold. Each knot is decorated with stunning diamonds and contrast against the gold to create a lavish ambience. A stylish knot design with 9ct yellow gold.